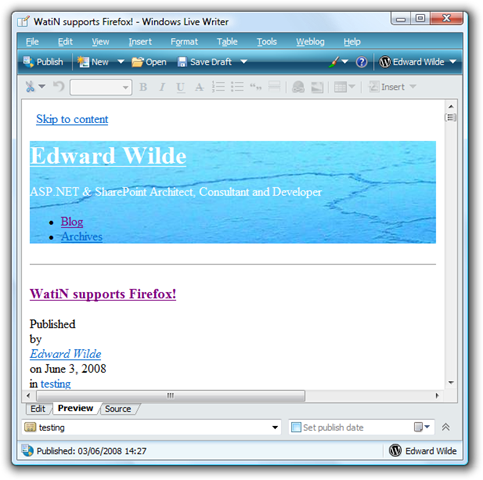 Is Windows Live Writer failing to display your blog theme correctly? Yesterday I changed my WordPress blog theme to use the K2 design. Diligently I asked windows live writer to ‘please go get this new style’ and ended up with some rather pleasant but unasked for Times New Roman in the edit pane. The preview pane also didn’t look anything like my blog, obviously the style sheet reference was missing. Graphics and content appeared, just no styling. I fired up ol-procmon to find out where an earth wlw was downloading the templates too. This is on Vista and Windows Server 2008, I imagine it’s different on other OS’s. *1In this folder you will find 2 index[*].htm files which represent your edit and preview panes. Once I found these html files it turns out wlw had download the k2 css file ‘core.css.php’ as ‘core.css.css’. Renaming fixed my problem, yay! 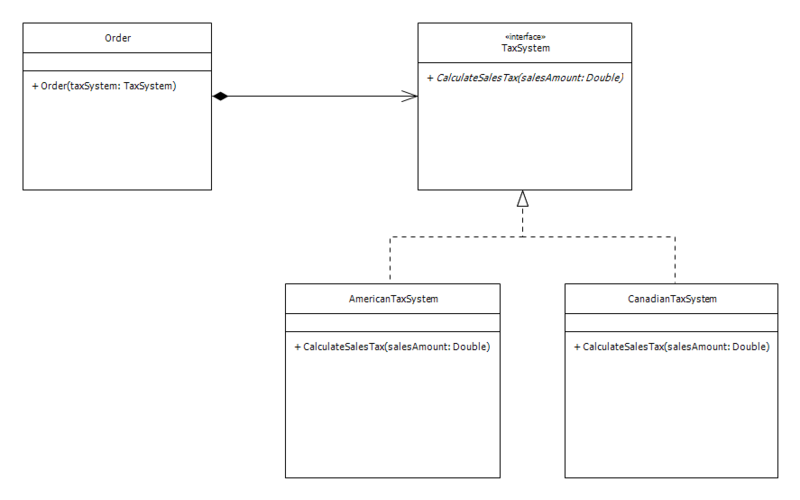 It’s also quite trivial to collapse these two using constructs into a single chunk of code for better maintainability etc.. 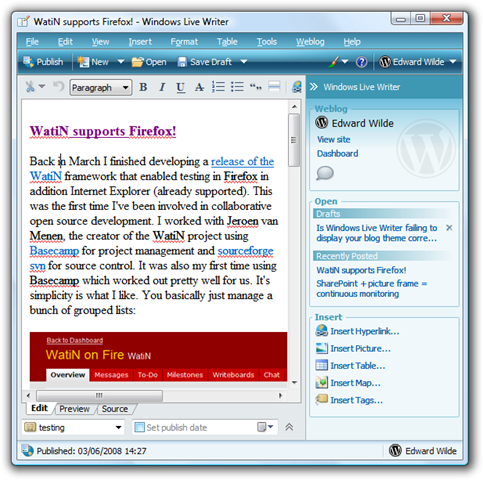 Check out the WatiN Firefox Community Technology Preview for more information.